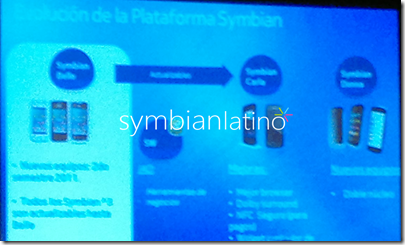 Symbian Latino has revealed that there are two more major updates after Symbian Belle for the Symbian platform. The first one is Symbian Carla and the second one is Symbian Donna which is probably the last update for Symbian Smart Phones. The Symbian Carla update would be for all S^3 and S^4 devices with minimum 1Ghz CPU (Nokia 500, 603 and 701) whereas Symbian Donna would target the Dual Core Symbian Smart Phones. Nokia had promised to support Symbian platform up to 2016. Its worth mentioning that Symbian Belle has been scheduled for fourth quarter of 2011 or it may take a plunge to first quarter of 2012. Nokia might announce and release Symbian Carla update for all 1Ghz S^3 and S^4 devices in the 3rd quarter of 2012 whereas Symbian Donna – Dual Core Equipped Symbian Devices might make their way to the market in the 4th quarter of 2012. These dates are just expectancy figures and may be close to the actual release dates. As soon as we will receive any official update on the availability of Symbian Carla and Symbian Donna, we will update you guys for sure. 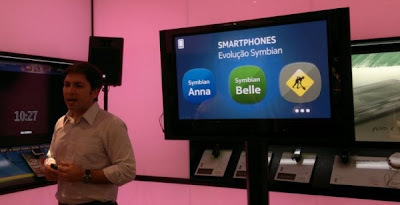 The sad part is that the first generation of Symbian^3 devices with 680Mhz CPU (Nokia N8, E7, C7, C6-01, X7, E6) will only receive Symbian Belle as the last major update. As Symbian Carla is meant for Symbian devices with minimum 1Ghz CPU. Users are still awaiting for Symbian Belle update which is considered the major overhaul in the UI of Symbian^3 OS. As we know that Nokia is already working on Nokia N8’s successor, its highly likely that N8’s successor will be based upon Symbian Donna with Dual core processing capabilities, what do you guys think?